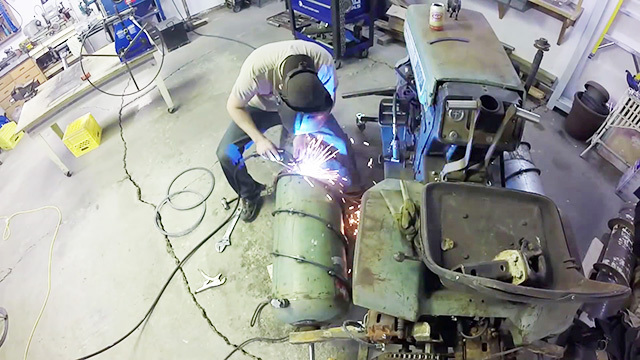 The incredible screw drive tractor is back. We’ve covered the previous test ride, which ended with a bearing pillow block ripping in half, but since then, again, a lot of repair work has been done. [REDNIC79] reinforced the load-bearing parts and put on a fresh pair of “tires”. The result is still as unbelievable as the previous versions, but it now propels itself forward at a blazing 3 mph (this time without tearing itself apart). [REDNIC79] walks us through all the details of the improvements he made since the first version. After the last failure, he figured, that a larger screw pod diameter would give the vehicle a better floatation while smaller thread profile would prevent the screws from digging too deep into the ground, thus reducing the force required to move the vehicle forward. It’s not unusual for new technologies to preserve vestiges of those that preceded them. If an industry has an inertia of doing things in a particular way then it makes commercial sense for any upstarts to build upon those established practices rather than fail to be adopted. Thus for example some industrial PLCs with very modern internals can present interfaces that hark back to their relay-based ancestors, or deep within your mobile phone there may still be AT commands being issued that would be familiar from an early 1980s modem. Just occasionally though an attempt to marry a new technology to an old one becomes an instant anachronism, something that probably made sense at the time but through the lens of history seems just a bit crazy. 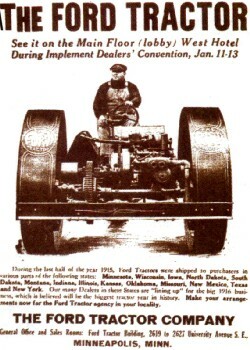 And so we come to the subject of this piece, the rein-operated agricultural tractor.